Luxury draw string bag featuring the Mini Stripes Brown print created by Mariska Meijers. 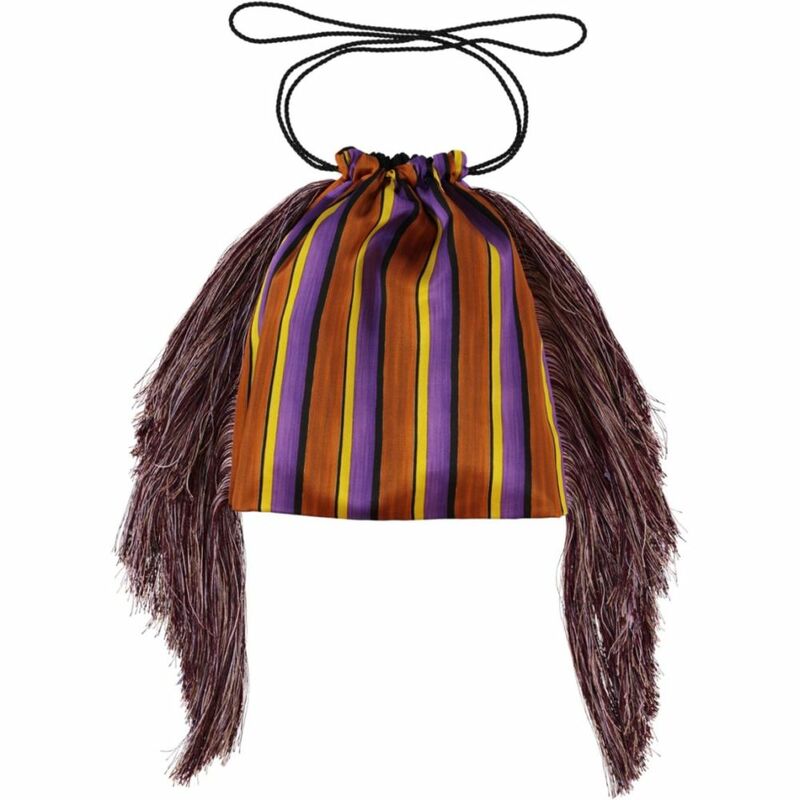 Printed on 100% silk, trimmed with colourful fringes. Made in Holland. Luxury draw string bag featuring the Mini Stripes Brown print created by Mariska Meijers. Printed on 100% silk, trimmed with a colourful fringes. Made in Holland.